I have read a lot of good reviews about Himalaya Herbals Gentle Baby Shampoo before try this for my little one. 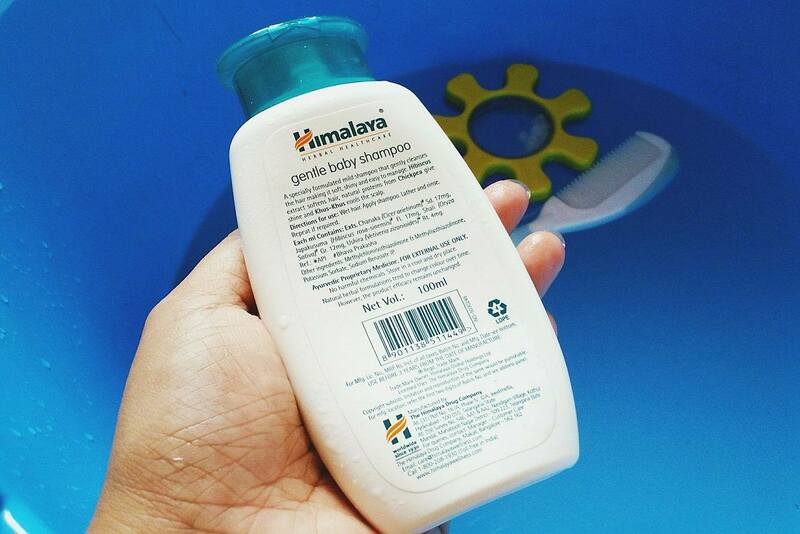 Himalaya’s Gentle Baby Shampoo formulation is a mild, “no tears" shampoo. It softens, nourishes and improves baby's hair luster, leaving it soft and fresh. 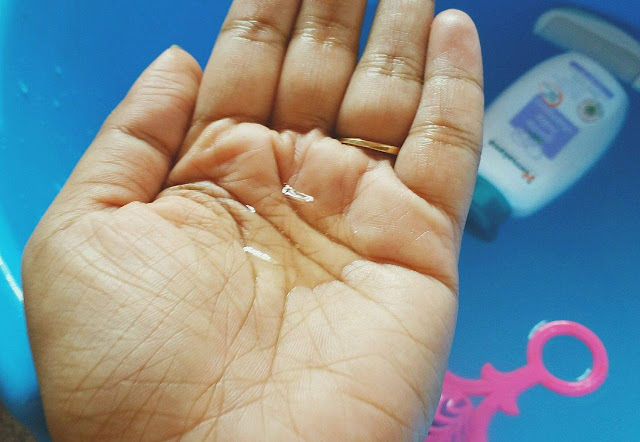 Today I am sharing my views on Himalaya Gentle Baby Shampoo which I have been using for a month. The most impressive thing about this shampoo is it has some key ingredients like chickpea, hibiscus, and khus grass. Chickpea, a natural source of protein, effectively nourishes hair, making it healthy and shiny. Whereas, Hibiscus contains natural oil that acts as a conditioning agent and softens the hair. It helps promote baby's hair growth. on the other hand, Khus Grass, with its antibacterial and antifungal properties, cools baby's scalp and it also contains some basic mild chemicals which are not harmful to baby's skin, as the product claims. I do not apply shampoo directly to the scalp. First, dissolve a require amount of shampoo in water to apply on his scalp. This is a very mild shampoo with a very soft smooth, transparent texture and consistency is little gel type. Sometimes I directly applied a little bit of shampoo to his hair and scalp. Due to its texture, the shampoo very easily spread on the scalp. My son has very thin hair so coin size amount of shampoo can create enough lathers. This is very mild shampoo and my boy's hair is very thin so I don't find any difficulties to wash off with normal water. After using it gives a clean scalp and make hair bit smooth and shiny. I think shampoo will also not work on hair with full of dirt. Overall, This shampoo completely suits for the thin hair and for regular use. This gentle baby shampoo is enriched with some very effective natural ingredient that leaves baby's hair soft and shiny. 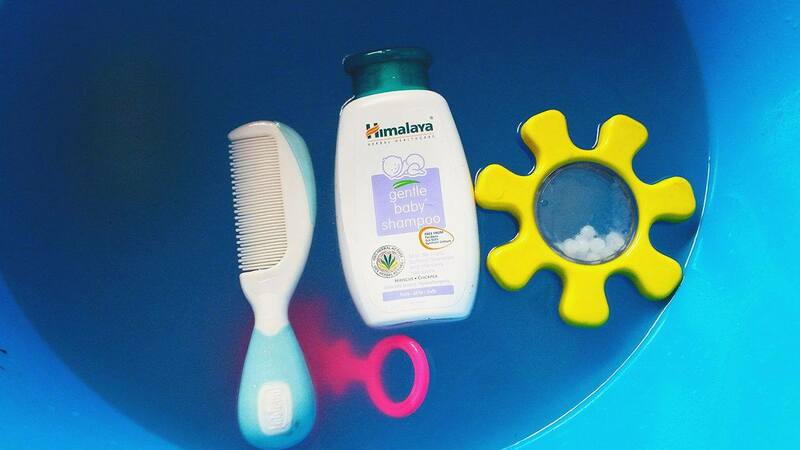 Himalaya baby care shampoo perfectly safe for daily use. Very easy to use, create a quite good lather to thin hair and rinse well and the smell is also very mild and nice. From my view point it is an average shampoo for babies. Himalaya products are my favourite ones. Already using many of its amazing and effective products. This baby shampoo looks too good for babies soft and tiny hair. Will try for my small one too. I had used this for my baby on her 5th 6th months, and found it to be an okayish product. I trust Himalya a lot. I am sure the baby shampoo is good as well. I used this for my daughter but I believe it irritates eyes. Great review. I have been using this shampoo for my son and am quite satisfied. Thanks for that honest and precise review..the no-tears formula is the best thing about this shampoo..
Himalaya is a great brand.Will be checking this out.No tears is always useful. I use Himalaya baby body wash, soap and baby cream but haven't used this. Will try it too. I have always used HImalayas products for my elder one and just love their products. I'm loving thr brand Himalaya lately. Every product of Himalaya is promising. I use lots of Himalaya's products. My niece use this shampoo. It is really very gentle on skin. I love Himalaya brand, it's diaper rash cream is bomb but this shampoo doesn't sounds promising to me. Will skip it for my new born. Aveeno Babywash and Shampoo is mild on baby's skin and is made of active natural ingredients.